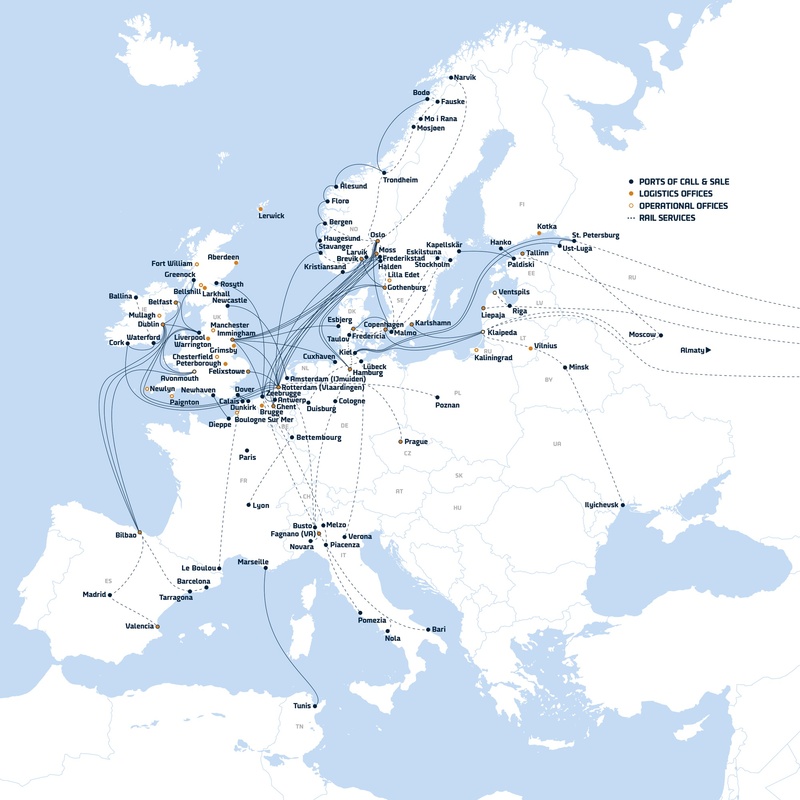 With a fleet of Ro-Ro, Ro-Pax, container vessels and logistics routes across Europe, DFDS provides access for the seafood industry to one of Europe’s most comprehensive freight shipping and logistics networks. Working closely with the industry we have learned to appreciate the importance of honesty, reliability, speed and flexibility. Through our dedicated and experienced seafood industry teams, we continue to develop new solutions, expanding our product range and geographical reach. Our Aberdeen depot provides collection and cross-docking service from North Scotland and Northern Isles. In addition, we offer pan-European distribution services through Boulogne-sur-Mer. Asset-based 3PL solutions including own ships, terminals, temperature controlled trailers, trains, and depots. Cross-docking, storage, and order picking/packing. Cold store, blast freezing, and tempering. Fully integrated trunking network services. Larkhall and Glasgow have custom-built and multi-temperature distribution centres (55,000 sq ft and 29 loading doors).